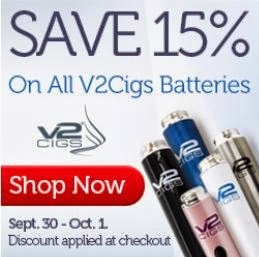 Just a quick note that the 15% off sale at V2 Cigs and Vapor Couture ends today at midnight. 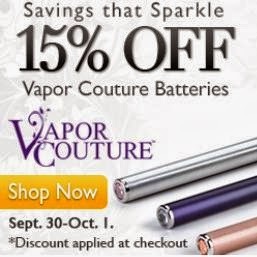 So if you're looking to get some different batteries, now's a great time to do it! Note: The discount is automatically applied at checkout.